It’s official! 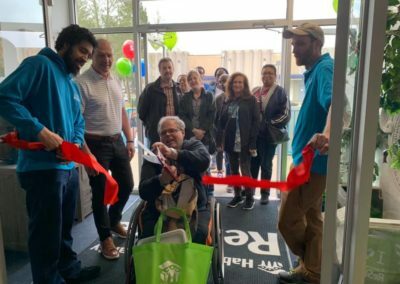 Habitat Chesapeake’s Columbia ReStore is open for business again and the news could not have been more welcome for our loyal shoppers and donors! 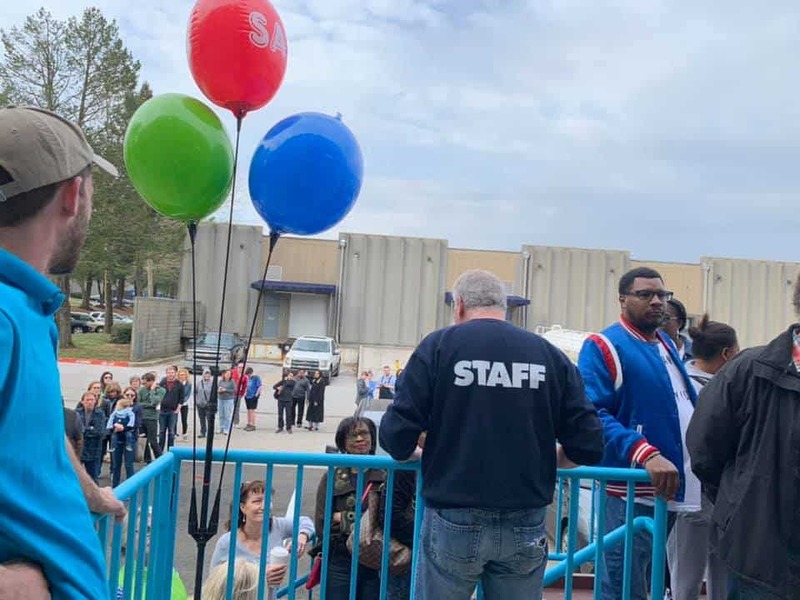 On the morning of Saturday, March 30, more than 100 ReStore shoppers anxiously lined the parking lot of the new location – in the same building, just around the corner from the old one. 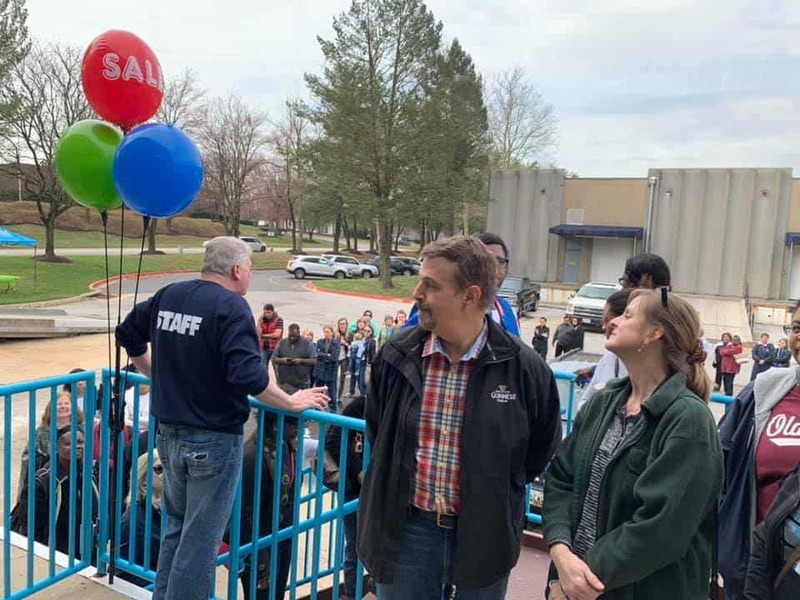 They all had just one thing on their mind: great deals for a great cause. Banners showing happy homebuyers, volunteers and donors lined the outside of the newly refurbished building as a reminder of Habitat’s mission – bringing people together to build homes, communities and hope – before shoppers could even set foot in the door. 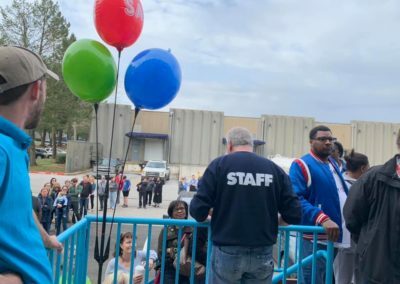 When the time came to officially cut the bright red ribbon, a resounding cheer arose from the crowd, reminiscent of the other type of ribbon-cutting ceremony we often have – when we welcome a family to their new home. 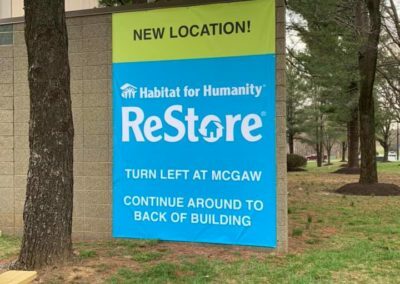 On March 30 alone, we’re grateful to report that the Columbia ReStore brought in more than $25,000 – an amount that it would usually take at least two weeks’ worth of business to hit! 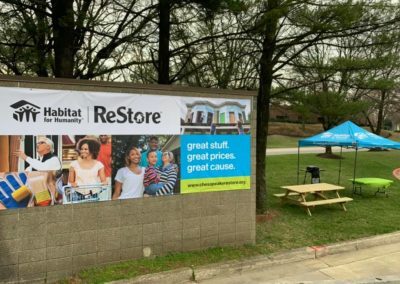 All profits go directly towards Habitat Chesapeake’s mission to build decent, affordable homes for families in need. 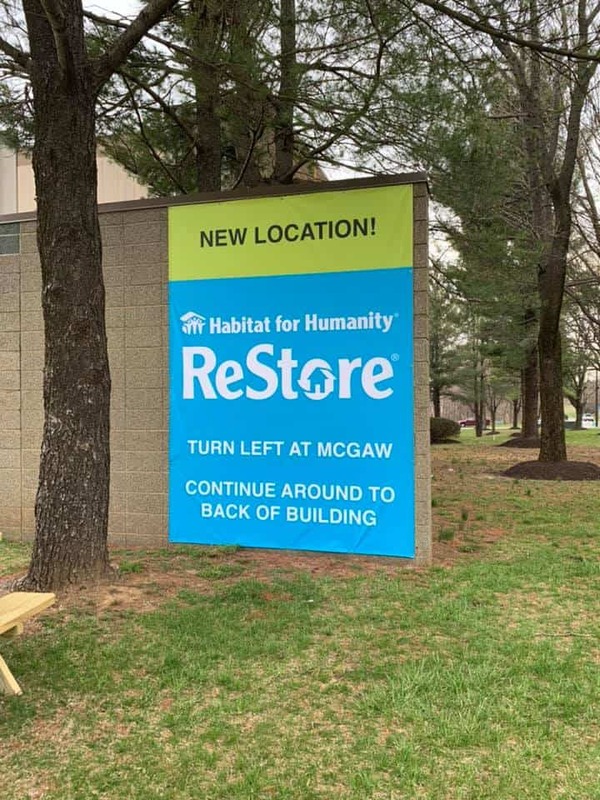 Generating more than $3.6 million a year and accounting for 30% of Habitat Chesapeake’s gross revenue annually, it’s no wonder Habitat ReStores have been labeled ‘The store that builds homes’. 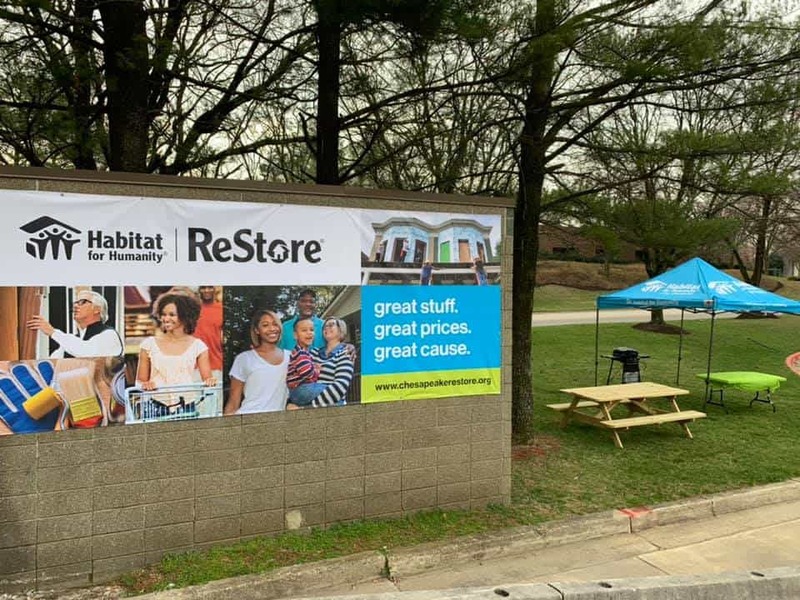 Habitat Chesapeake’s six ReStores have helped change the lives of 2,500+ family members across Baltimore City, Baltimore, Anne Arundel, and Howard counties, building more than 750 beautiful homes and transforming 18 neighborhoods across Central Maryland. 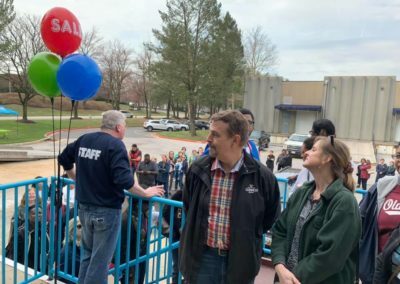 Three cheers for the Columbia ReStore grand reopening and our dedicated ReStore Staff for making this such a successful event!